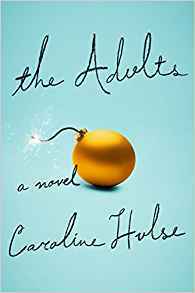 Caroline Hulse is the author of the new novel The Adults. She lives in Manchester, England. Q: How did you come up with the idea for The Adults? A: I was trying to write a suspense novel (strangely, the book wasn’t originally written as a comedy) and I wanted to write about a situation in which were people behaving badly because they felt insecure. I remembered an article I’d once read about people going on holidays with their exes. At the time, I’d thought, why would anyone do that? Surely that would be hard. I realised this was a perfect conflict scenario, and everything flowed from there. Q: You tell the story primarily from three characters' perspectives. How did you decide on your point-of-view characters? 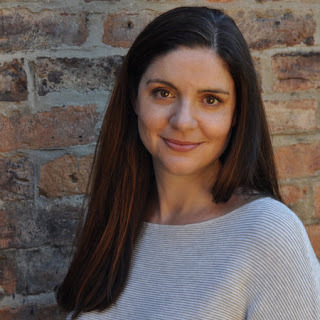 A: I like writing from more than one perspective because, in real life, people can perceive the same situation in very different ways and this disconnect is a great opportunity for conflict and humor. I decided I wanted to write from the perspective of the two incomers to the family so I could go deep into some characters’ heads while still retaining some of mystery about the feelings of the other two adult characters. The third perspective is the child Scarlett’s, and this perspective was added later. I wanted to bring out the imaginary rabbit character more and realised that, if I wrote some scenes from the child’s perspective, then Scarlett would see and converse with the rabbit in her chapters and, therefore, the reader would also “see” the rabbit. This was so much fun to write. If I could, I’d put an imaginary rabbit into every book from now on. I’m not sure I’d get away with it. Q: The novel takes place at a holiday park in North Yorkshire. How important is setting to you in your writing? A: Interesting question! The actual geography is probably the aspect of writing I put least focus on. My writing’s all about dialogue and character – my books are not the place to go for beautiful detailed descriptions about a particular place. However, the setting of the holiday park itself was important because I wanted the characters to be in a situation that raised the stakes, with the pressure that comes with being somewhere they were obliged to have fun. A: I like contemporary fiction with a dark or dark comic edge. I love anything and everything by Maria Semple, Katherine Heiny, Megan Abbott and Caroline Kepnes. Some specific favourite comedy books that I’ve read many times over are James Lever, Me Cheeta; DBC Pierre, Vernon God Little; and Steve Toltz, Quicksand. I also love crime with a twist, so recommend Eva Dolan and Imran Mahmood for bang-up-to-date British thrillers with an undercurrent of social commentary. A: I’m editing my latest novel right now. It’s about adult children returning to the family home for one big party, with undercurrents of sibling rivalry, secrets, dysfunctional family dynamics, and people trying to do the right things the wrong way. It’s similar in feel and perspective to The Adults and is on the same theme of social awkwardness in a meant-to-be-fun situation, demonstrating that that humans are generally not good or bad, but they can do really bad or unhelpful things when they’re feeling insecure and under pressure. And this can have comic results. I’m really happy with how the book’s going, but the title is under debate right now, so I’m afraid I can’t tell you what it’s called. A: A strange fact about me and my career is that I love writing, but I’m an extrovert and don’t like being on my own. This is a bit of a paradox and, as you can imagine, is a bit of a problem for a writer. Still working on it!